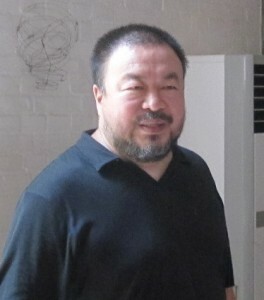 BERLIN: Chinese artist Ai Weiwei had plans to temporarily relocate to Berlin when he was detained by police at Beijing airport on April 3rd and taken to an undisclosed location. When his latest exhibition opened at Galerie Neugerriemschneider as part of Berlin’s 7th annual Gallery Weekend earlier this month, the artist was not in attendance. He had earlier expressed plans to open his own gallery in the German capital and, following his detention, was offered a visiting teaching post at Berlin’s University of the Arts. Ai also had to cancel his appearance at the 2008 Frankfurt Book Fair due to a cerebral hemorrhage caused by a beating he received from Chinese officials over his involvement in an investigation into China’s response to the 2008 earthquake in Sichuan. The artist once noted that he channeled 80% of his creative energies into his blog, which he maintained from 2006 to 2009. Once his blog was shut down by the Chinese government, Ai continued tweeting until silenced by his arrest. In a demonstration of solidarity with the artist and a sign of his close ties to Germany, Berlin-based Galiani Verlag will be publishing Ai’s banned blog and tweets in German translation in August. The approx. 440-page book, “Macht euch keine Illusionen über mich. Der verbotene Blog” [Make No Illusions About Me. The banned blog] will also feature 58 photos taken by the artist.